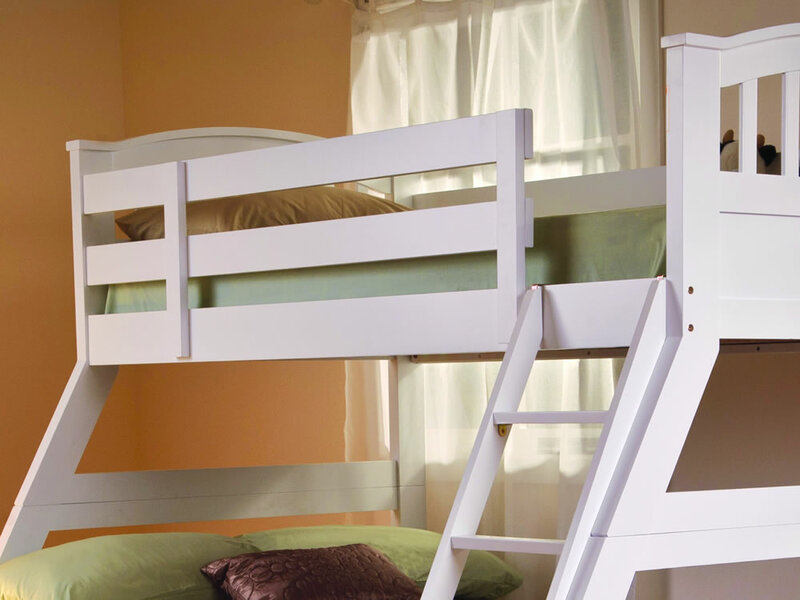 The Sweet Dreams Epsom white triple bunk bed frame features a sturdy angled step ladder with four wooden steps for easy access to the top bunk. 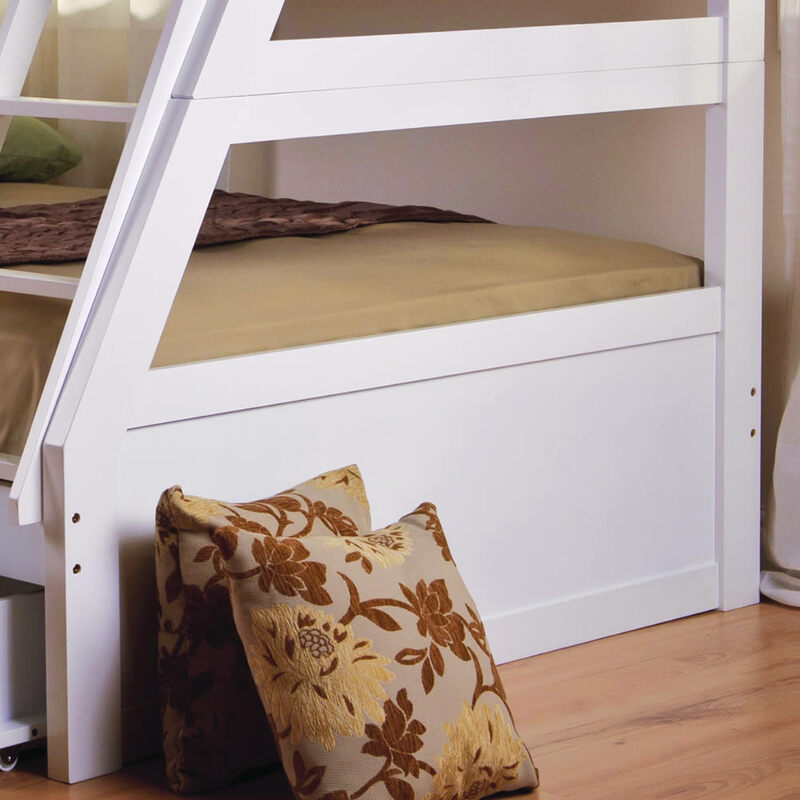 Suitable for sleeping up to three children or one child and two adults the Epsom triple bunk bed offers a practical space saving layout and a stylish design. 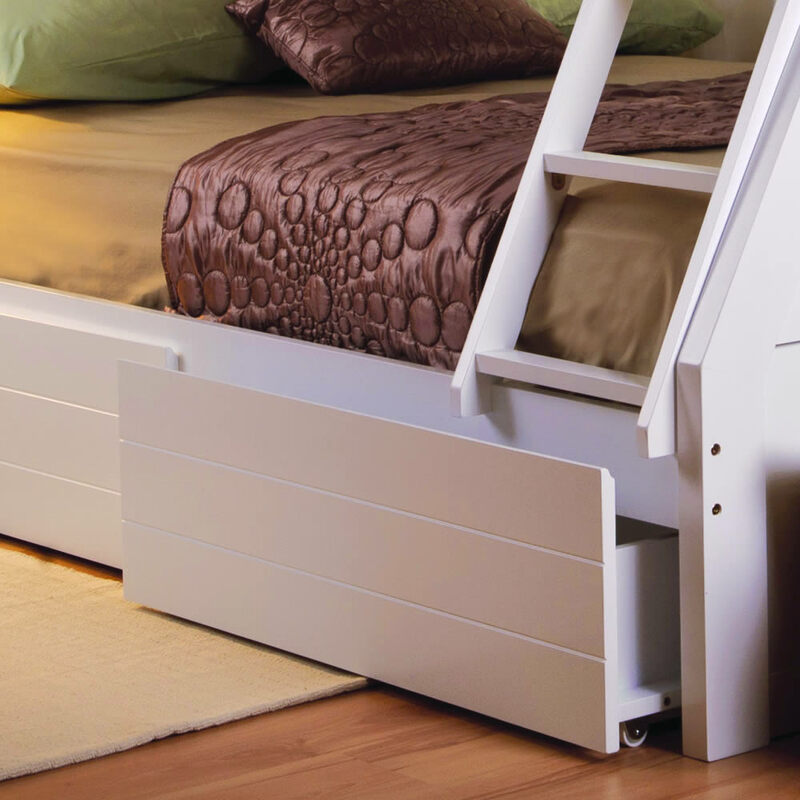 For additional hide away bedroom storage a set of two optional under-bed drawers are available. 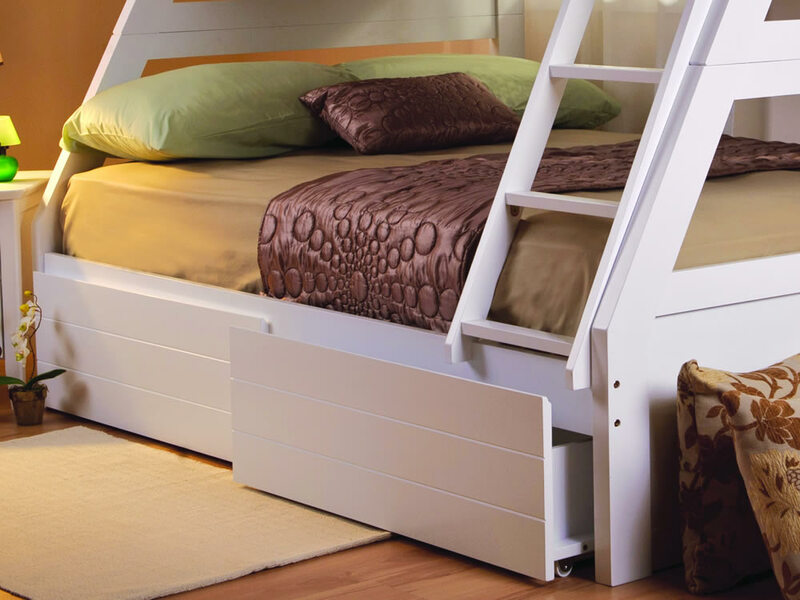 Made from real rubber wood with a hard wearing white painted finish plus a full sized UK double bottom bunk suitable for children and adults with a weight capacity of up to 200kg for two people (100kg per person). 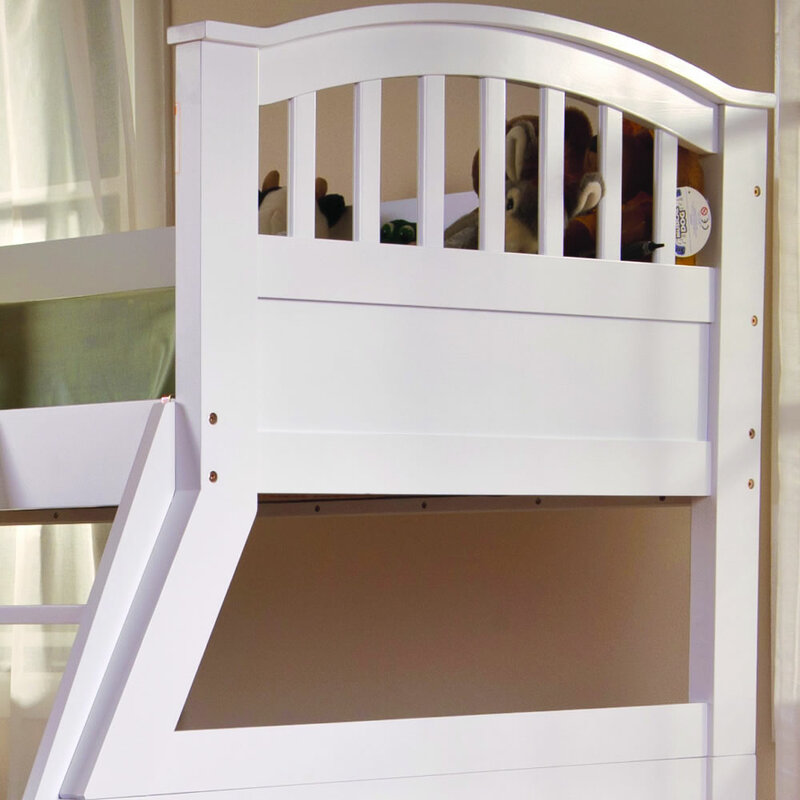 The easy climb angled fixed position ladder can only be assembled on the right hand front side of the bed frame as shown. The Epsom bottom bunk is designed for a standard UK double mattress 135cm wide by 190cm long. The Epsom top bunk is designed for a standard UK mattress 90cm wide by 190cm long with a maximum height for safety of 16cm. 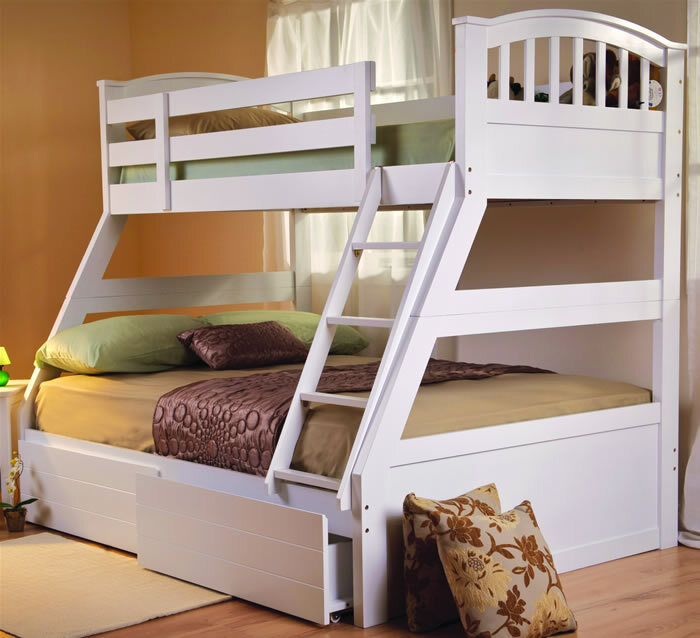 Our most popular Triple sleeper with a standard UK double bottom bunk 4 years running. Dimensions: Bottom bunk head clearance 87cm - From Top of Bottom Bunk Slats to bottom of the top bunk slats. 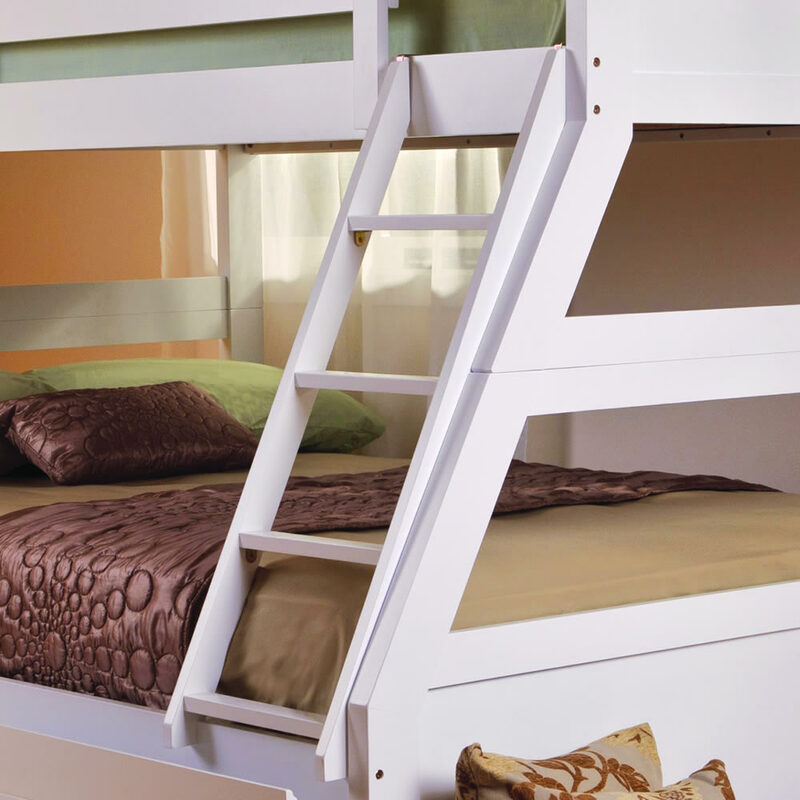 Maximum Weight: Top Bunk 75kg - Bottom Bunk 100kg per person up to 200kg total.